I think we can all agree that Harry’s life up until this point had been a sad life. However, with the fall of a door at the beginning of this chapter it appears that interesting things are about to happen for Harry. What do you notice about Harry though? Our family isn’t sure if Harry was as much happy when meeting Hagrid as he was very, very confused. There are so many other things that Harry is finding out for the first time. 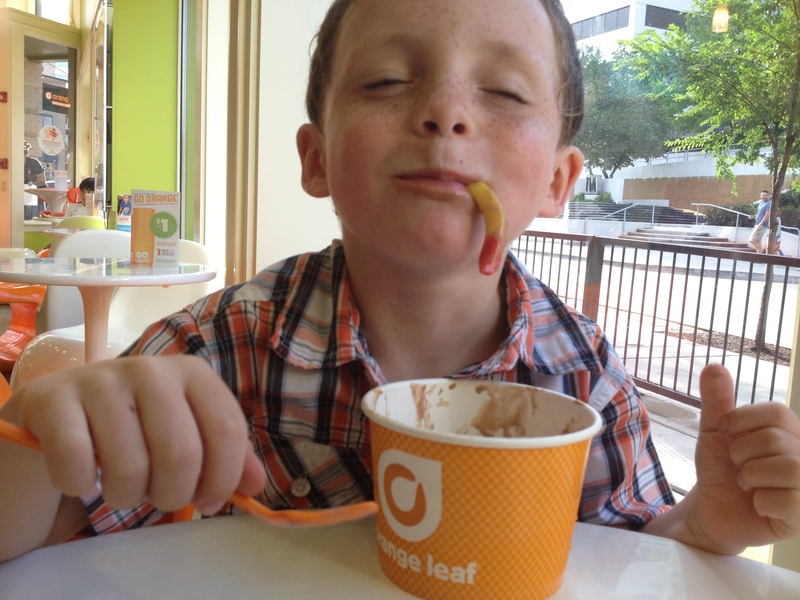 One of our children can relate with Harry’s feelings of confusion. This child was moved into our home from another foster home two months before their second birthday. The caseworker didn’t have time to introduce the child to our family. The child was literally dropped off with strangers before the caseworker had to leave. I remember seeing the child walking in the house excited to see the new rooms of our house and meet the cats. He was also very nervous. There was no one familiar to hold and comfort the child while meeting these new strangers in a strange home. It’s like the child was given a ticket or a letter to come to a new home with new fun and opportunities but everything was so new that it was scary. I think that is how Harry was feeling. Excited for new possibilities but scared to leave everyone that he knew. What do you think was the most confusing thing to happen to Harry in this chapter? What do you think was exciting for him? If you were Harry, would you like to get a birthday cake or see Hagrid do magic? 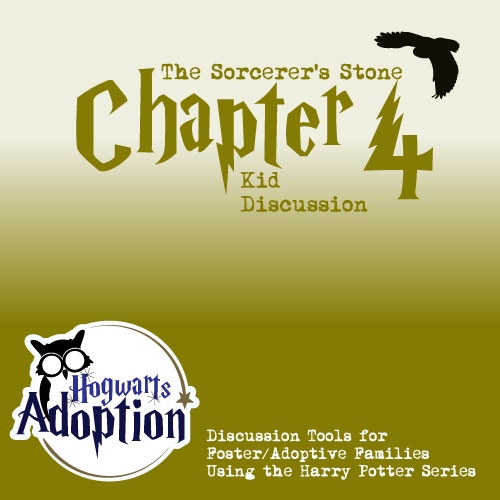 Your foster/adoptive parents can’t do magic like Hagrid. What can they do that you think is pretty amazing? What makes you feel like you belong in your family? Previous post: Chapter 3 – Parent Discussion – What information do I share with my child? Next post: Chapter 4 – Parent Discussion – How are you parenting? Like a Dursley or Hagrid?